Happy Summer! For little ones, this season is an especially happy time of the year. Long days, warm weather and an abundance of free time combine to create the perfect atmosphere for fun and festivity. 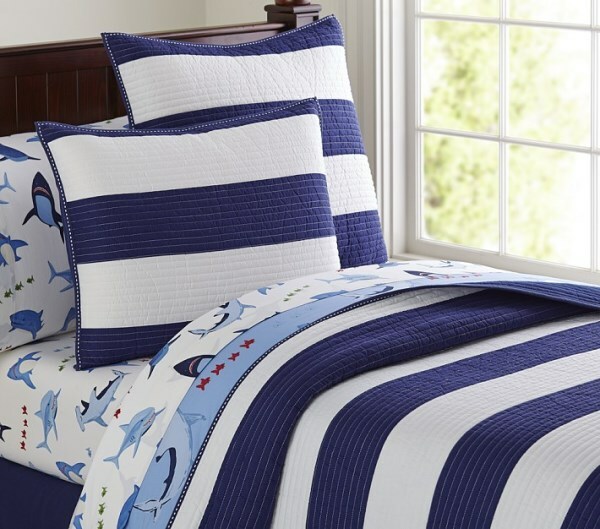 Celebrate this lighthearted mood with children’s bedding that radiates summer style! Today we round up ten of our favorite selections, complete with helpful links that will guide you to additional information about comforters, duvet covers and sheet sets that catch your eye. Enjoy! We begin with a trio of bedding options that are deliciously stylish. Summer is all about enjoying refreshing snacks, such as fresh fruit! This Cherry Duvet Cover & Sham from Serena & Lily features an array of tones, from bold red and two-toned green to a dash of pink. Plus, it’s swimming in retro style! Doesn’t this Pattern Party Bedding set look good enough to eat? 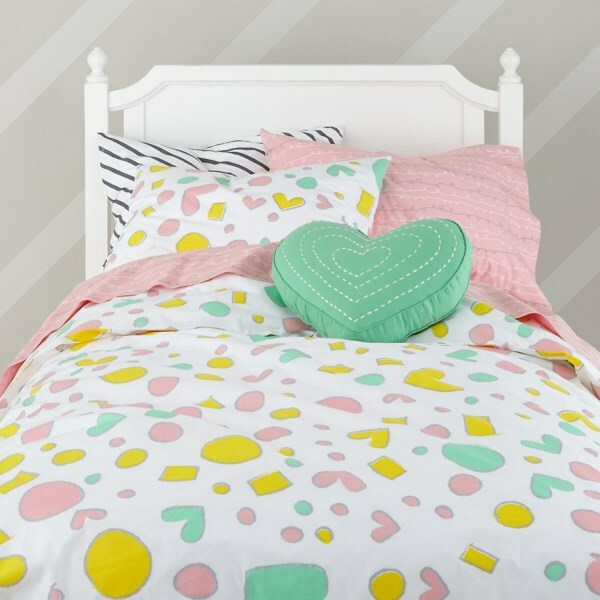 Pastels are all the rage this season, and this exclusive bedding designed by Joy Cho of Oh Joy! for The Land of Nod combines soft hues with geometric shapes for a crisp look–with a dash of ’80s style! 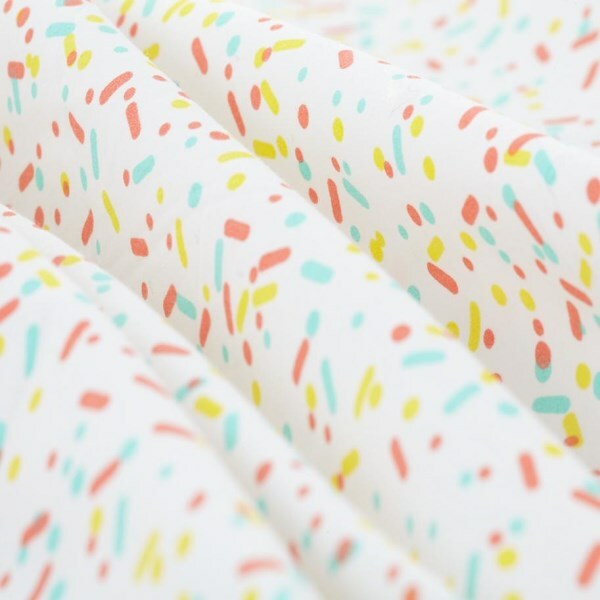 Also designed by Joy Cho for The Land of Nod are these on-trend Sprinkle Sheets, which are part of the colorful Sundae Best Bedding set. 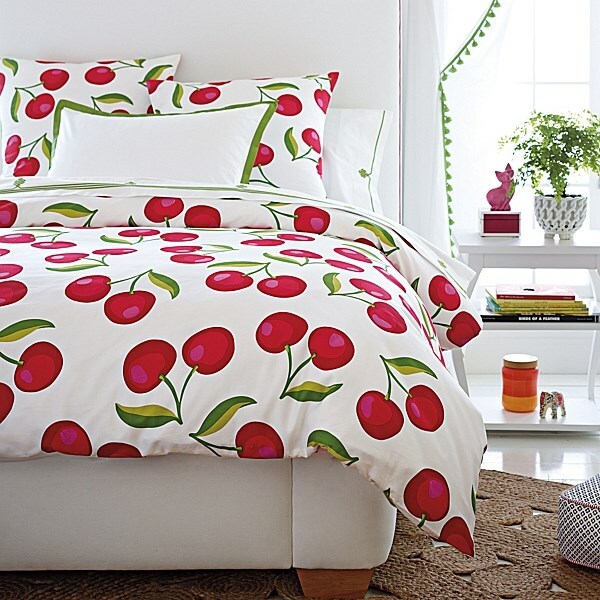 You can even top them off with a cherry pillow for a tasty finishing touch. 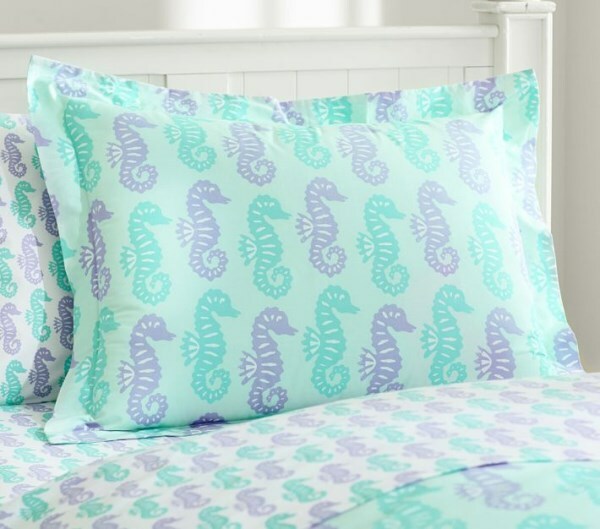 Seahorses and pastels live in harmony together on this Preppy Seahorse bedding from Pottery Barn Kids. A whimsical pattern creates the bedding of your child’s summer dreams. Never has undersea style been so minty fresh! Whales in shades of blue and gray create a modern vibe, thanks to crisp outlines and repetition. 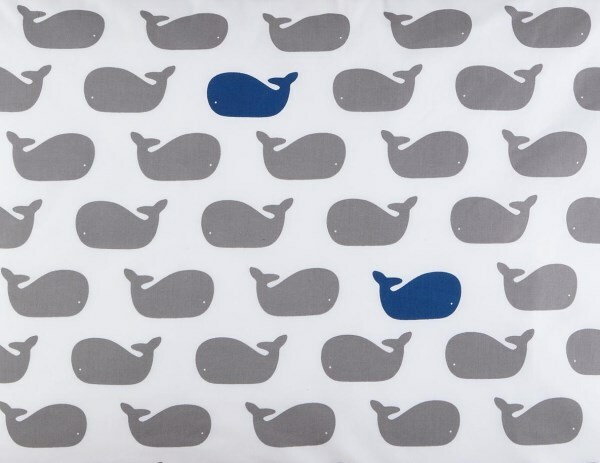 This close-up of the Make a Splash Pillowcase from The Land of Nod highlights the pattern’s chic, kid-friendly look. 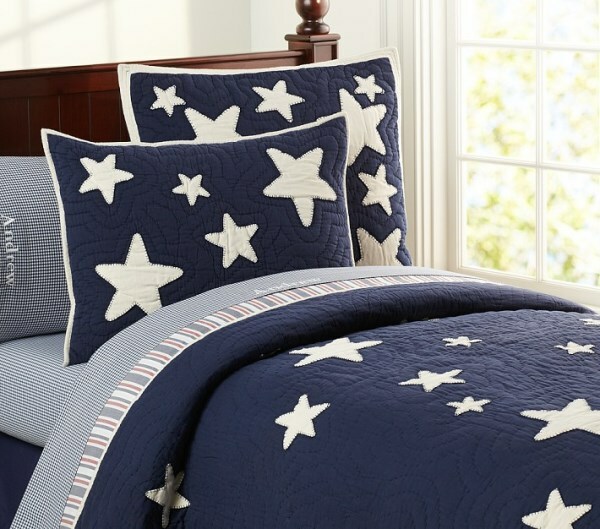 Not to mention, this item is part of the Make a Splash New School Bedding set, which also features a blue striped quilt and sheets covered in polka dots. Perfect for a rustic cabin or your child’s earthy bedroom, this Fisherman’s Quilt & Sham from Serena & Lily is covered with swimming fish in shades of sea glass. So summery! We end with one of our favorite summer pastimes: stargazing. 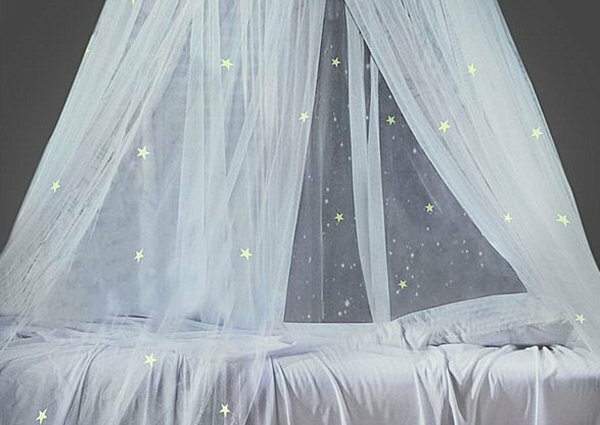 Bring the shimmering magic home with a Glow-in-the-Dark Bed Canopy from Mombasa. Available at Macy’s, this gauzy item will wrap your child in sweet dreams of glittering skies. 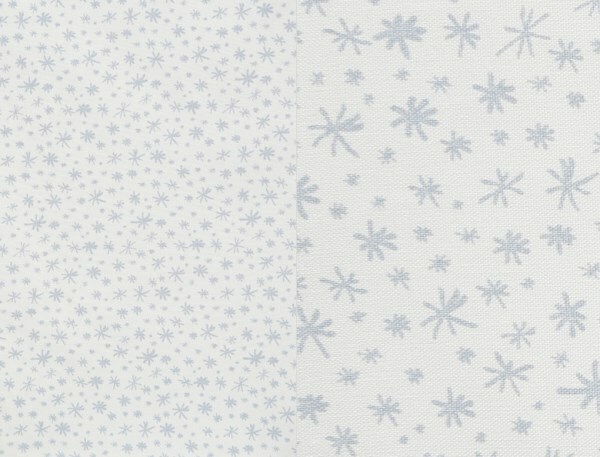 Delicate stars seem to twinkle and dance, thanks to the whimsical crisscrossing lines of our last featured pattern. 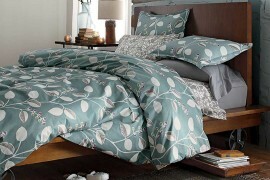 Say hello to the Stars Dusk Sheet from DwellStudio, which is easy to mix and match with the bedding of your choice. 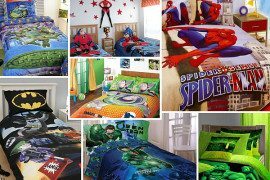 Not only are many of today’s featured finds perfect for young kids, they can also transition your child’s bedroom into the teen years. 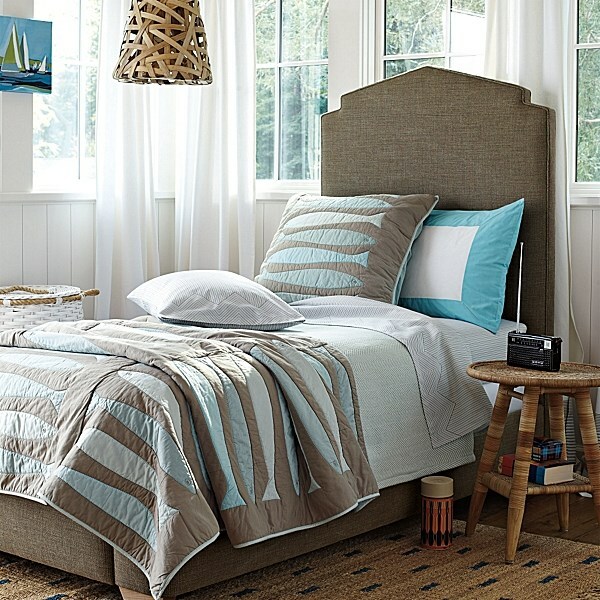 Whichever bedding you choose, we at Decoist wish you a relaxing summer filled with sweet dreams!